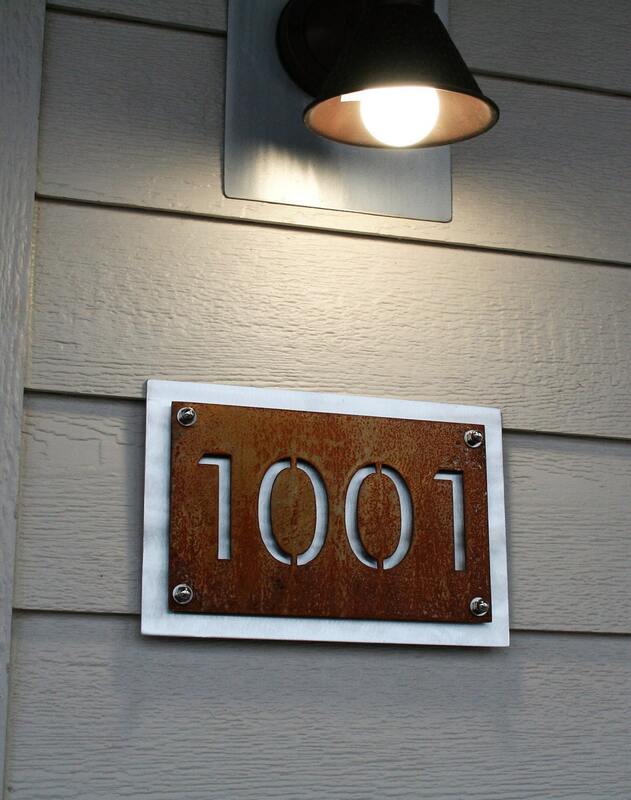 Layered metal house numbers offer a unique and personalized option for your home! Easy to see and customizable with more colors available soon. The 8x12" size is perfect for small homes, mailboxes and posts or columns. Shiny aluminum backing plate is polished for an eye-catching reflection in any light. 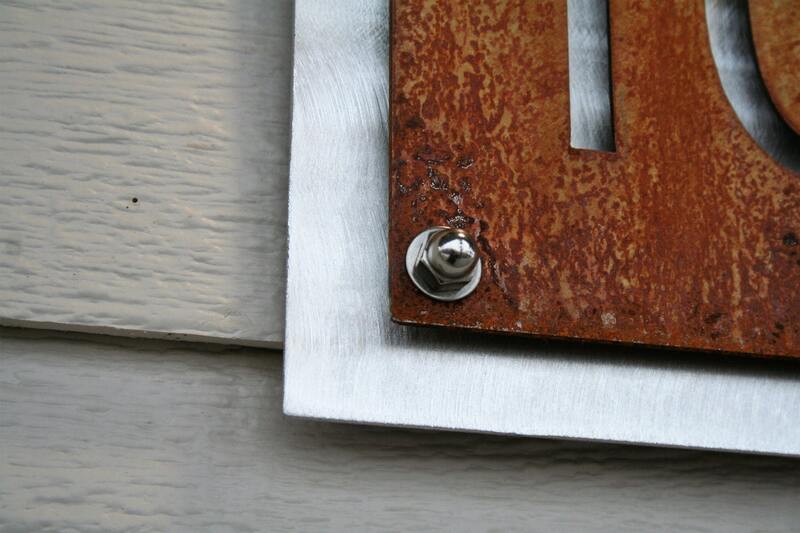 The face plate sign is attached permanently to the backing plate with stainless bolts and cap nuts. The finished hardware makes this sturdy indoor or outdoor sign beautiful as well! This is a great wedding or anniversary gift! Beautiful address or name plaque can be used for the wedding itself -- display it as a part of your reception décor, and then move it into your home. 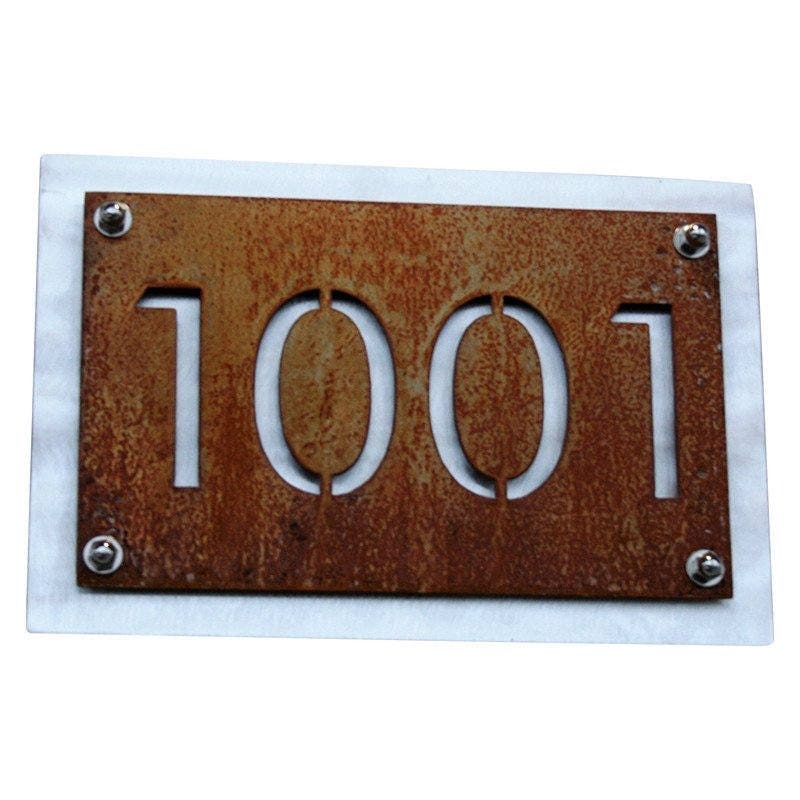 We can offer an address number or single word on this size sign. Sign is available in your choice of color. If you need a color not listed please contact us. We may be able to match it! 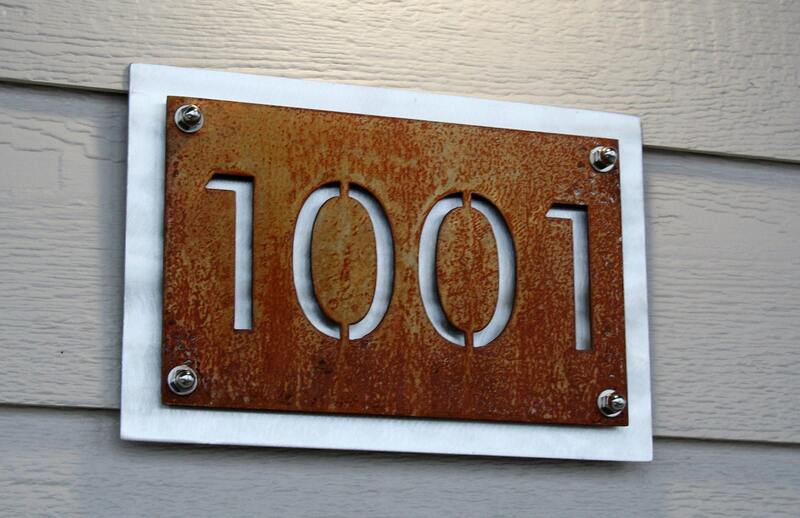 Rusted signs are recommended as outdoor only, but colors are great for indoors or outdoors. Normally rusted signs can stain your walls or other items, but with the aluminum backing plate your walls and home are protected from rust! Hang this sign in your entryway, on the front porch, the mailbox post or anywhere you like! 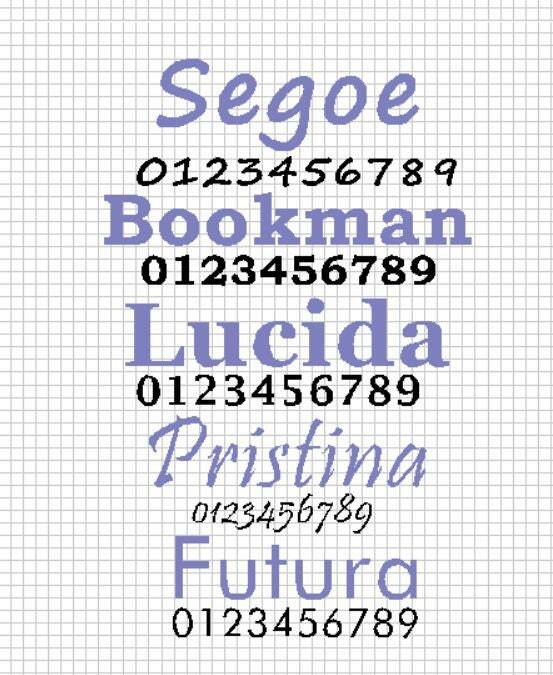 Scroll through photos to the last picture for examples of each font. Example photos are shown in Futura. Simply include a note in your order with your house number. Need a larger size? Click the link below for larger sizes or alternate layouts.